Some of my friends are pretty damn fervid — a great word by the way, “…so rarely have an opportunity to use it in a sentence.” — about the Grey’s Anatomy TV series. I can understand that. Besides cop and court room dramas, nothing else has been a television staple like the medical series. It’s proven to contain ample character and story fodder for writers and producers to mine for people’s musing and entertainment. I’m no different when it comes down to one my favorite genres. I come from a long line of folk who’ve gotten sucked down into the vortex of diagnosis drama for their viewing pleasure. My grandmother never missed a Ben Casey or Dr. Kildare episode in her day. I sat right there with her, too…mind you, I didn’t have a choice. 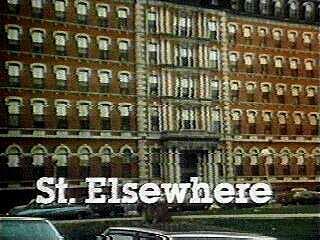 This was where medical comedy/drama shows like Medical Center, MASH, even City of Angels, became ingrained in my psyche. I still fondly remember ER (before all the original cast left) and Chicago Hope (before the show lost its mind). However, I eventually tire of some scenarios that are oft-repeated, or twisted back on to themselves, in this category. In the end, I tend to move on before the show completes its run. Let the record show I believe the overlong and tortuous path ER producers subjected Dr. Mark Greene to, brain cancer and heartbreak can do that, constituted a form of cruel and unusual punishment. One of the reasons, at a later point, I just stopped watching. Sorry, but I had to get that off of my chest. Just about every medical program on television or cable I’ve grown weary of, unfortunately. And don’t get me started on Nip/Tuck. Except for one, that is. If I remain an ardent fan of a single television medical series, it was for the landmark TV medical program, St. Elsewhere (October 26, 1982 to May 25, 1988). Plus, I know more than a few nurses and physicians over the years that maintain the same sentiment for this remarkable show. Its writing and cast (which positively impacted a number of careers), imbued its prestige and influence in the years since. Written by the underrated composer, arranger, and pianist Dave Grusin, the theme song, a seemingly lost art these days save for a few, had a distinctly melodious and infectious 80s mood to it. It has proven to be Mr. Grusin’s, who is another of Jazz Fusion‘s durable players from the 70s, most recognizable arrangements. If the musician-composer’s name doesn’t mean much at first glance, you’ve most likely heard a few of his movie scores. He has had an extraordinary, though relatively quiet, career and has scored an impressive number of film soundtracks over these last few decades. His musical versatility enabled him to effectively orchestrate music for a number of distinctly different films, too. Westerns (The Great Northfield Minnesota Raid, Tell Them Willie Boy is Here, and The Electric Horseman), dramas (The Friends of Eddie Coyle, Three Days of the Condor, and Absence of Malice) and comedies (Waterhole #3, Heaven Can Wait, and Tootsie) are listed among his feature film credits. Even my annual summer film favorite, Tequila Sunrise, was among them, as well. The Theme From “St. Elsewhere” was later expanded as a full song and included as a track on his jazz fusion Night-Lines album that debuted in 1983. It attained crossover success via airplay on pop and jazz radio stations in ’84. No doubt pushed by a good number of the show’s loyal fans. As a result, the signature instrumental became another of the unexpectedly popular singles that popped up on occasion during the 70s and 80s. Something that seems so rare nowadays, unlike another jazz-tinged tune from the previous decade. This forgotten tune remains one of my best-loved theme songs, one that was so memorably tied with an exceptional television series. This link seems to be dead. Did something get tweaked…? Thanks for noticing, Scott. My bad. I hit the Publish button before setting the proper date/time, which was and will be for tomorrow, Friday. Shows that I should not be doing such things when at work ;-). My apologies. The post will be back up at 4 AM PDT, as it should be since I have ‘Friday’ in the post title :-). Great to find another Dave Grusin fan, j. And ‘The Firm’s soundtrack was another splendid effort by this composer. I’d quite agree that his work on the theme for ‘Barretta’ was another very memorable one from years ago. Thank you very much for the read and comment, my friend. Dave Grushin could put together a nicely layered piece of music . Just before an era when Mike Post would pick up the baton and run for the whimsical and sometimes orchestral melancholy theme sets for Hill Street Blues , Doogie Houser, M.D. and just plain fun of The Rockford Files . Kind of OT: Am I the only one who flashes back to Mike Oldfield’s Tubular Bells during the opening bars of Grushin’s St. Elsewhere? Indeed, Kevin. All those by Mike Post were wonderful themes and left an impression for each of those shows. I hadn’t thought of it till you mentioned it, but yeah, I can hear what you mean about Mike Oldfield’s Tubular Bells and this. Many thanks, my friend. 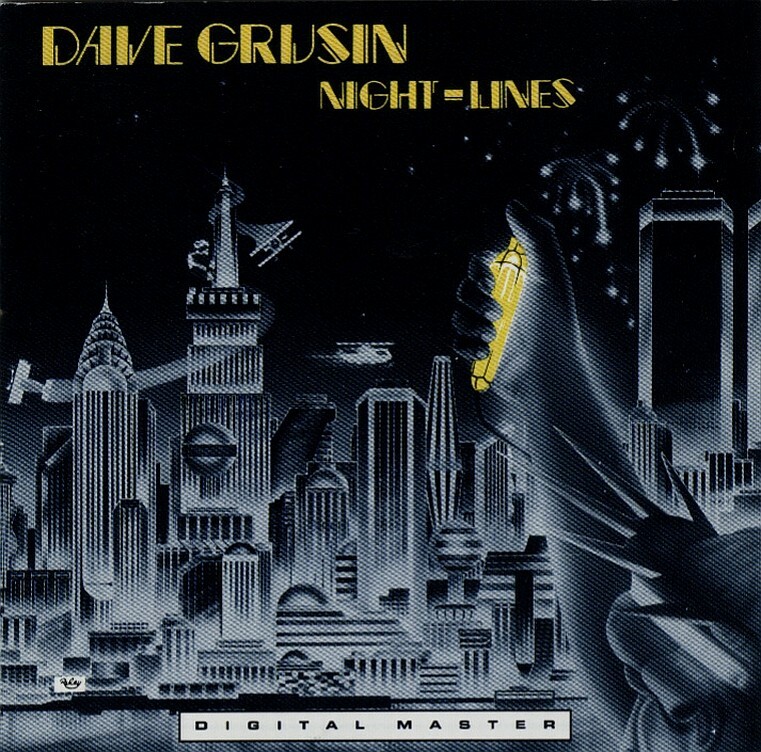 My hubby is a big fan of Dave Grusin. LOVE this theme song Michael, though I never watched the show. WOW, I had no idea Denzel was in it, he’s still as dashing as he once was. Your hubby has great taste, Ruth :-). If you get a chance to catch ‘St. Elsewhere’, I think you’ll spot its influence on many shows (old and new) through the years. And it’s one that only got better as it progressed, even with cast changes. I’m sure you can see some well-known faces (like Denzel) here in it’s third year iteration. Many thanks, Ruth :-). Cee Lo Green, back when he was still Gnarles Barkley, did a song of the same name. Not sure that there’s a relation, but how could there not be??? No one is that dense!